Description: Pioneer Garage Door Mesa is a business categorized under tractor-renting & leasing, which is part of the larger category truck rental & leasing no drivers. 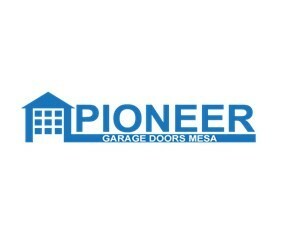 Pioneer Garage Door Mesa is located at the address 139 S Crismon Rd #54, Mesa Arizona, 85208 in Phoenix, Arizona 85208. The Mr. is Victor Walsh who can be contacted at (480)360-2487.
Review: Pioneer Garage Door Mesais the #1 garage door specialist in the industry. We install, service and repair all kinds and types of garage doors in Mesa. We have the best team of expert professionals who know how to handle each and every type of garage door and its components. This is because all of our technicians go through a rigorous training process, covering every known garage door repair technique. We do not let them onto the field until we know that they are completely trained, and can perform a job to perfection. Location & access map for "Pioneer Garage Door Mesa"